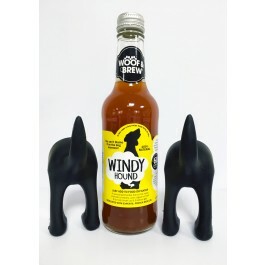 What is Woof & Brew Windy Hound Herbal Tonic? You can't blame it on the dog anymore when using Windy Hound! 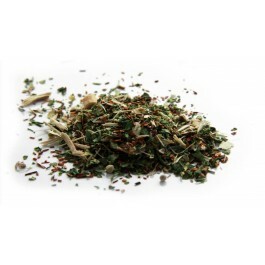 This specialised, herbal blend helps promote a healthy, calm digestive tract & helps to break up & disperse gas. Woof & Brew’s range of healthy, herbal tonics for dogs are a complementary pet food, created & blended to support your dog’s specific needs. The blends are all veterinary approved as safe & the herbs used are left intact, rather than ground, to provide optimum nutritional benefits. - It is recommended that dogs are over 4 months before using any supplement. - Pregnant or nursing dogs, or those suffering from a chronic long-term illness, should seek veterinary advice before using any supplement. Please Note:This product is a herbal supplement only and should not be used to directly replace normal nutrition, or medicine prescribed from a veterinary surgeon. What are the benefits of using Woof & Brew Windy Hound Herbal Tonic? 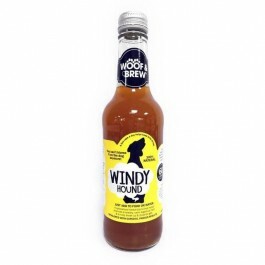 What is in Woof & Brew Windy Hound Herbal Tonic? Composition:Water-based infusion of Astragalus, Fenugreek, Ginseng, Lime Flower & Rooibos. Additive:Preservatives - Potassium sorbate & Sodium benzoate. How much Woof & Brew Herbal Tonic should I use? Add the required capfuls (see below) each day to either your dog’s water bowl or over their food. Refrigerate once opened & use within 1 month. Please note:Please ensure alternative drinking water is available when this product is first introduced.